We understand that trust is important when it comes to your child’s dental care. You can expect us to provide the most current and beneficial procedures during each phase of your child’s tooth development. Count on us to listen to your questions and provide solutions for your child’s dental conditions. Your child’s lifetime of good dental health starts early in their life. Prioritize check-ups and daily tooth and gum care. This helps assure the prevention of cavities and oral disease for a lifetime. The surroundings we provide for your child’s dental care will encourage them to relax and develop a positive attitude about dental care. Our two locations are designed to put your child (and you) at ease during each pediatric dental appointment. Easy scheduling also accommodates you and your child’s schedule. Your questions help us know what you’re most concerned about at the moment. Our Team always seeks to improve our expertise having answers and solutions for keeping your child’s mouth healthy. Our mission is to provide comprehensive and superior quality care for children, infancy through adolescence. We are passionately committed to improving pediatric dental health and will strive to build long-term relationships based on trust and respect with our patients and their families. 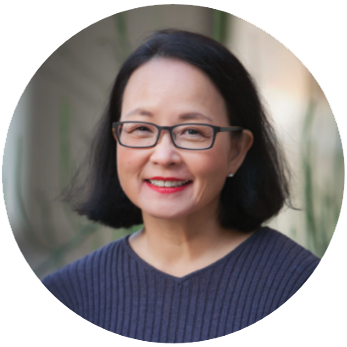 Dr. Leslie Tanimura brings a warm, personal approach to patient care. She is a graduate of the University Of Southern California School Of Dentistry and the Indiana University pediatric dentistry residency program. Dr. Tanimura also completed a cerebral palsy fellowship and received her master’s degree while attending Indiana University. During her years as a faculty member at the University of Kentucky, she attained certification by the American Board of Pediatric Dentistry. Jennifer T. Lo, D.M.D., M.S. 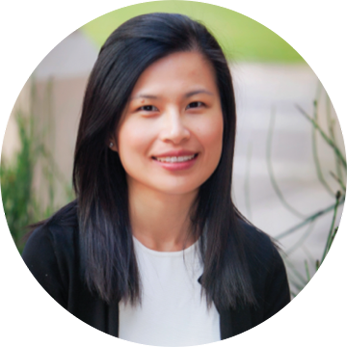 Dr. Jennifer Lo, grew up in Hong Kong as well as in Toronto, Canada. She earned her Bachelors of Science at the University of Toronto. Realizing dentistry was her passion, she went on to earn her DMD at Tufts University School of Dental Medicine. After graduation, she decided to move to one of her favorite cities in North America, San Francisco, where she completed the Advanced Education in General Dentistry Residency at the University of the Pacific, Aurthur A. Dugoni School of Dentistry. Your child is 5x more likely to experience tooth decay than asthma… routine dental check-ups and consistent at-home care can help eliminate tooth decay. The total amount of school hours missed because of oral disease… early diagnosis is part of your child’s routine dental check-up. That’s all the time your child needs to brush 2x a day… doing so helps keep their teeth and gums healthy as they grow and develop. Our family has been going to Brentwood Pediatric Dentistry for over 16 years. Dr. Tanimura and her staff are professional, caring and ALWAYS friendly. They always greet you with a smile and treat you like you are family. When my children are at their appointments they are always made to feel comfortable and relaxed. I fully trust all dental decisions and care that Dr. Tanimura has provided for our children. We love Dr. Tanimura and her awesome staff! We’ve been visiting Dr. Tanimura since we were 2 years old and she’s always taken great care of us & makes us feel super comfortable. Brentwood Pediatric Dentistry is amazing. My daughter has had to have numerous baby teeth pulled due to them not falling out naturally. The service we received here was spectacular. They were patient with her and split her work up in as many as appointments as possible to give her a great experience. Dr. Lo is very gentle and really cares about her patients. We are so happy to have found her and this office. They do a wonderful job and are great to work with. The staff and nurses are also great. I’ve recommended them to quite a few people already. Antioch Brentwood Pediatric Dentistry…a nurturing environment where your child will develop a lifelong commitment to taking care of their teeth. Our pediatric dental office has a longstanding reputation in East County. This assures that your child is treated by pediatric dentists who have years of board certified expertise. Families and children in Antioch, Brentwood, Discovery Bay, Oakley, Knightsen, Concord, Pittsburg, Bay Point, and Rio Vista rely on the pediatric dental care we provide to establish a lifetime of healthy teeth and gums. Antioch and Brentwood Pediatric Dentistry is the largest and oldest pediatric dentistry specialty practice in the East County. We serve patients in the surrounding cities and areas of Antioch, Brentwood, Discovery Bay, Oakley, Knightsen, Concord, Pittsburg, Bay Point, and Rio Vista, California. All of our pediatric dentists are board certified. Our doctors and staff are committed to providing your child with the best care there is to offer! Dr. Tanimura is a member of the medical staff at Children’s Hospital Oakland. In addition, Dr. Tanimura is a member of the American Board of Pediatric Dentistry’s Examination Committee. As a Part Leader for the Qualifying Examination, she attends workshops in Dallas twice a year to create and critique future exams. Candidates taking the Qualifying Examination are participating in the first step of the process to become board certified in the specialty. During September, she spends one week in Dallas with fellow examiners from across the nation to give the Oral Clinical Examination. “Participation in the board certification process is an immense honor and a wonderful way to give back to the specialty. I enjoy the camaraderie and appreciate the unique opportunities to interact with researchers and clinicians… all of whom are spending time away from family and patients to strengthen our specialty of pediatric dentistry,”. Dr. Tanimura is an avid reader and also enjoys baking and knitting. After completion, she went into private practice in the Bay Area. It was at one of the practices where she discovered her passion for Pediatric Dentistry and decided to obtain further training at UCSF pediatric dentistry residency program. She is a board certified pediatric dentist. Dr. Lo has hospital privileges at Kaiser Hospital. In addition, she is a part-time faculty at UCSF Department of Pediatric Dentistry. Her passion is educating parents/patients to help prevent cavities. Outside of work, Dr. Lo enjoys spending time with her family & friends, going running, biking in the summer and snowboarding in the winter.